A solid sterling silver dog tag. 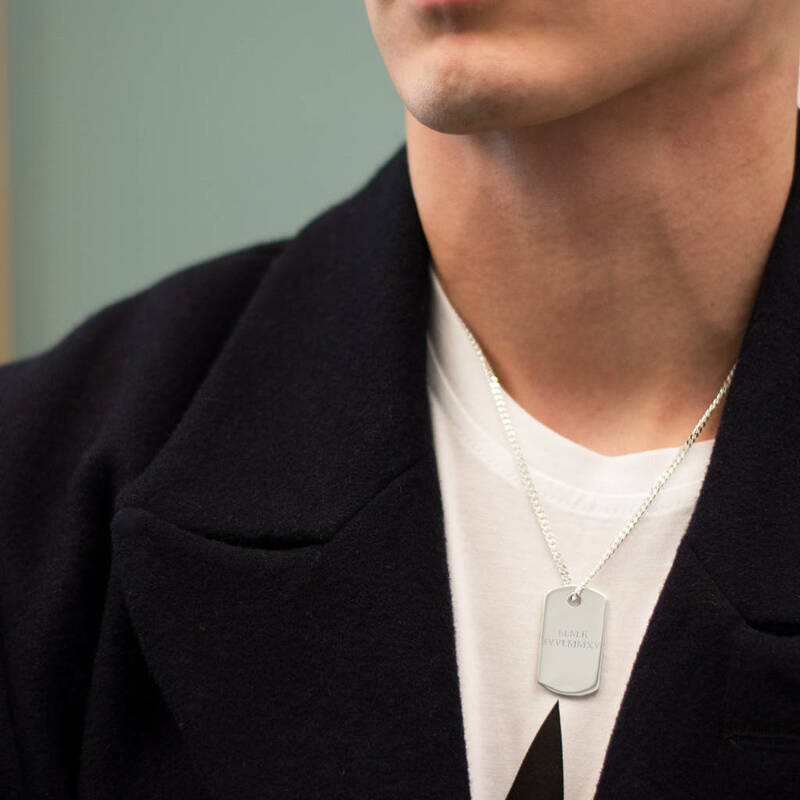 This solid silver dog tag pendant has been hand made in our workshops. It is a very high quality dog tag with an authentic raised edge around the perimeter of the silver. 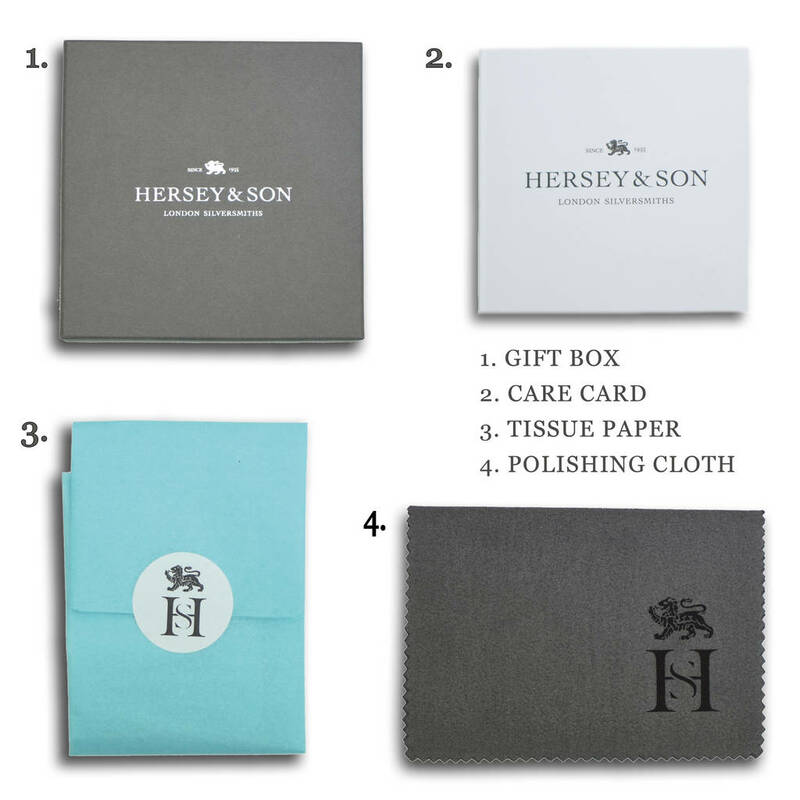 The dog tag is delivered in our Hersey & Son box with a care card and complimentary silver cleaning cloth. 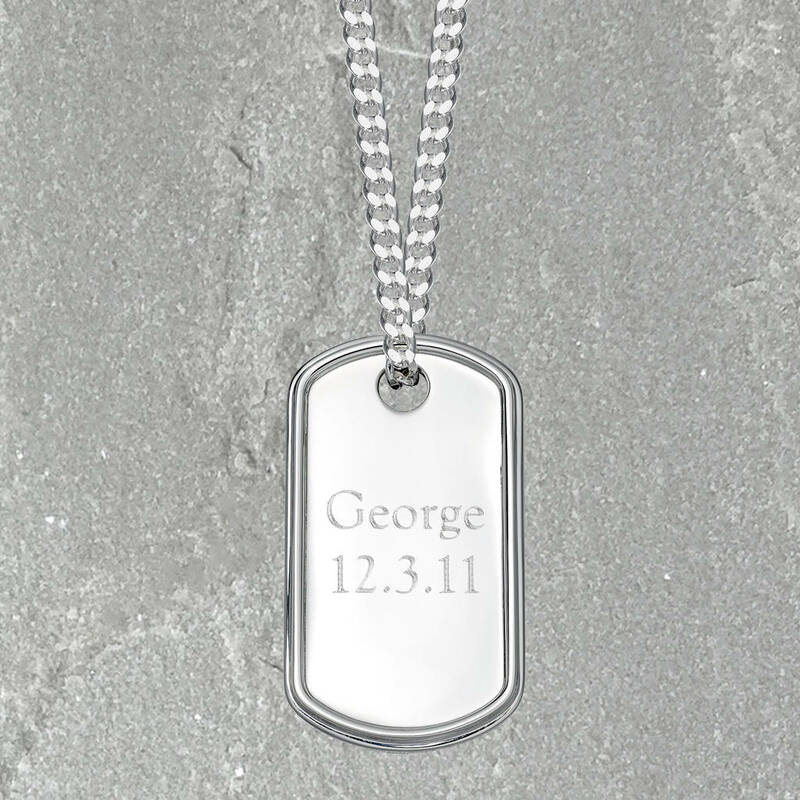 Having it engraved with a personalised name, initials or message will make it an extra special gift. 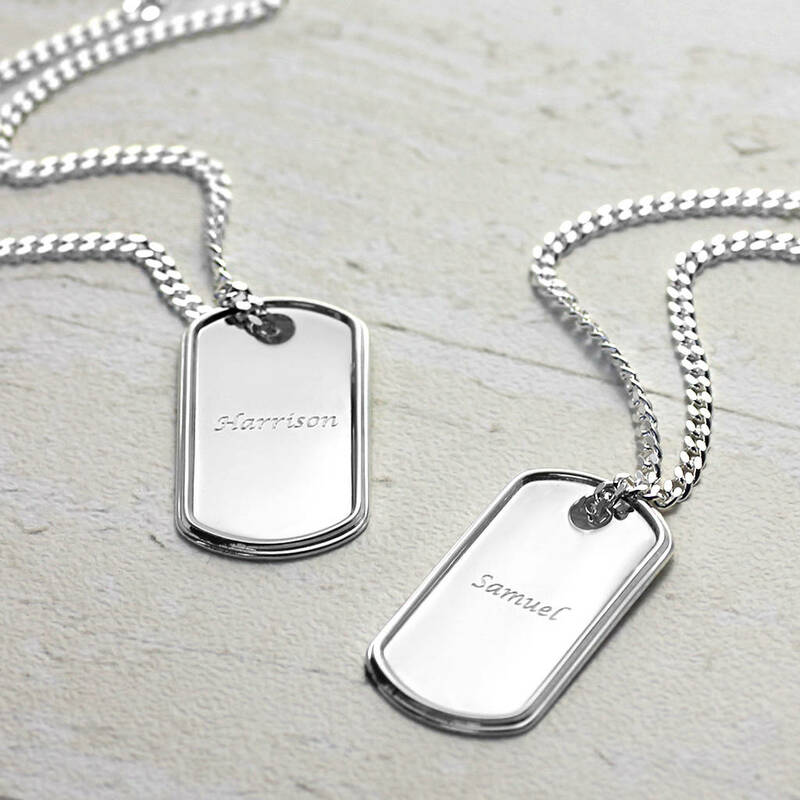 You can engrave the front or the back of the dog tag. Sterling Silver. 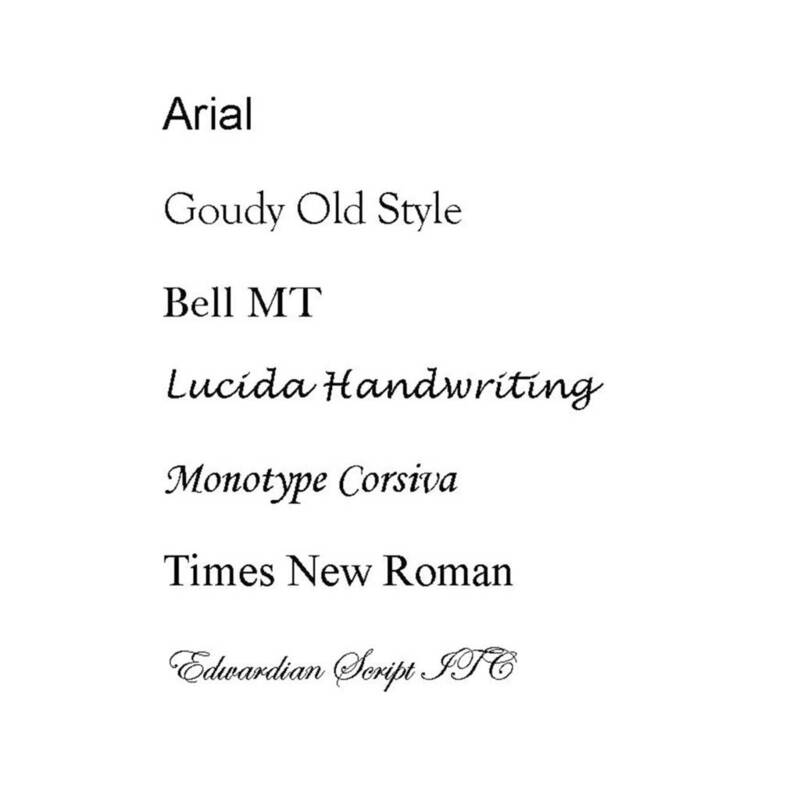 Hallmarked in London. The dog tag measures 35mm x 19mm and hangs from a sturdy sterling silver ball or curb chain in 16" (ball chain only), 18", 20", 24" longths. We also have a 28" length in the curb chain only. 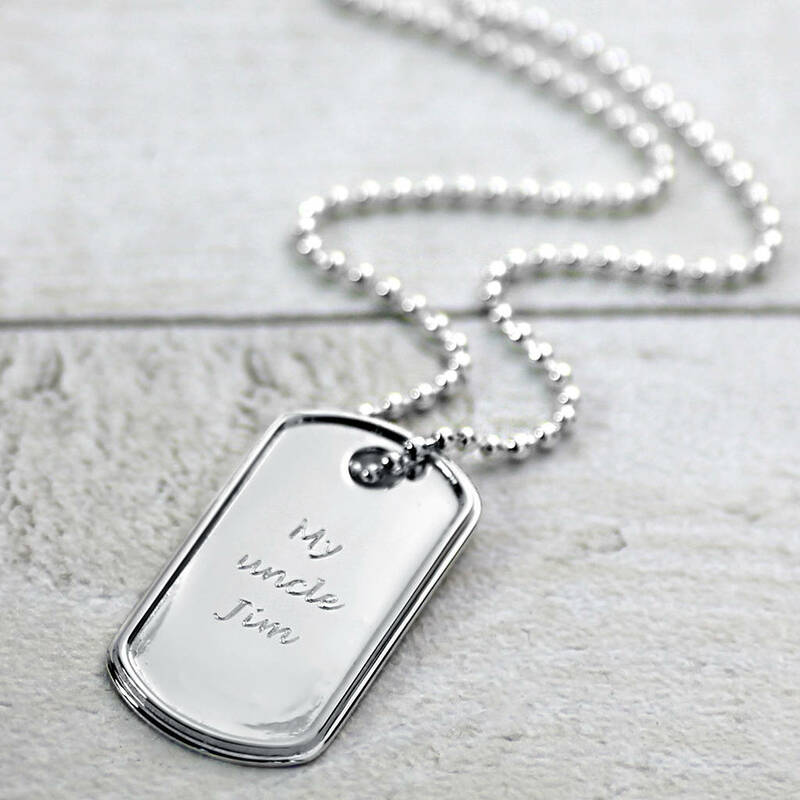 We can also send you this dog tag without a chain.